Browse the most delicious and easy-to-make main dish recipes on the web. 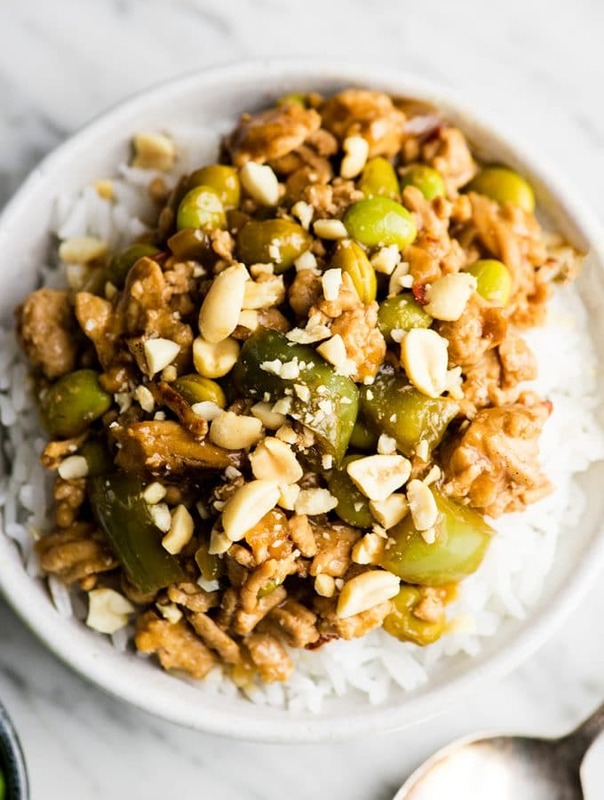 From Asian Chicken Lettuce Wraps to Slow Cooker Balsamic Pot Roast to Ground Turkey Italian Stuffed Peppers, we have recipes that are healthy and easy to make for dinner! 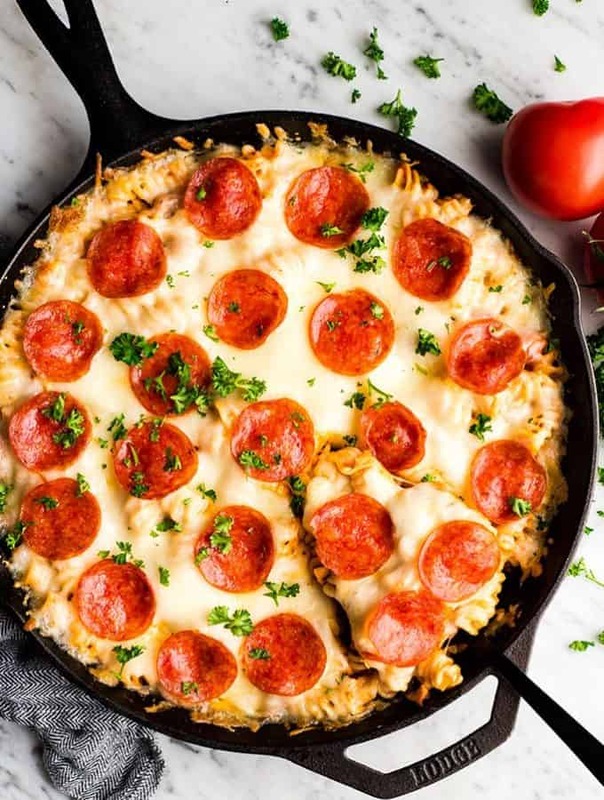 This Easy Pizza Casserole recipe is a family-favorite meal that is kid tested and husband approved! It’s a great main dish to feed a crowd, only takes 10 minutes to prepare, and is made with 9 ingredients! Healthy Thai Slow-Cooker Ground Turkey Recipe is an easy main dish! It only takes 10 minutes to prepare, plus it’s gluten-free and dairy-free! 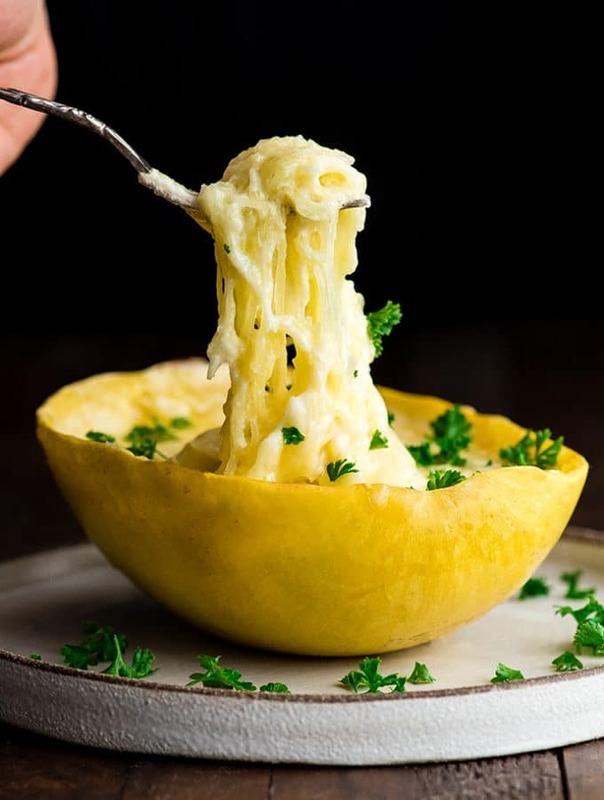 This Easy & Healthy Spaghetti Squash Mac and Cheese Recipe is low-carb and keto! It’s a delicious gluten-free dinner, side dish or meal prep idea! 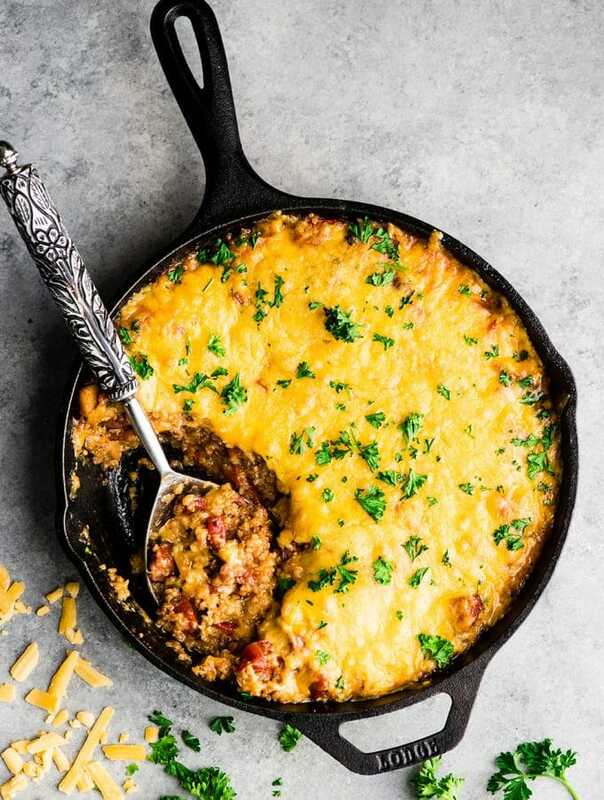 This Baked Quinoa Casserole is an easy, hearty main dish that is perfect for fall. It’s ready in under 30 minutes and is a great gluten-free dinner recipe to feed a crowd! Even my kids loved this cheesy quinoa recipe loaded with sausage, apples and veggies! 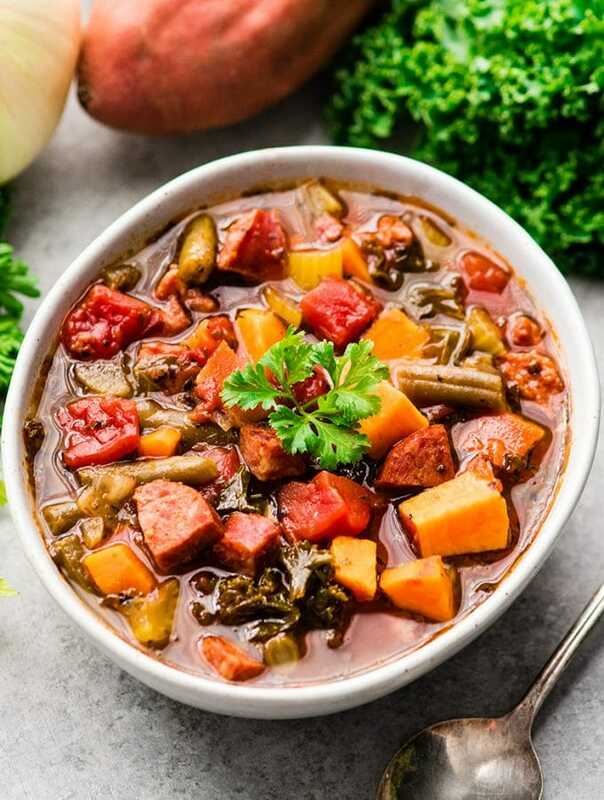 This Healthy Sausage Kale Soup with Sweet Potatoes is a cozy fall soup made in the slow cooker (crockpot). It’s paleo & a great make ahead dinner! Easy Homemade Pizza Sauce Recipe (5- Minutes)! 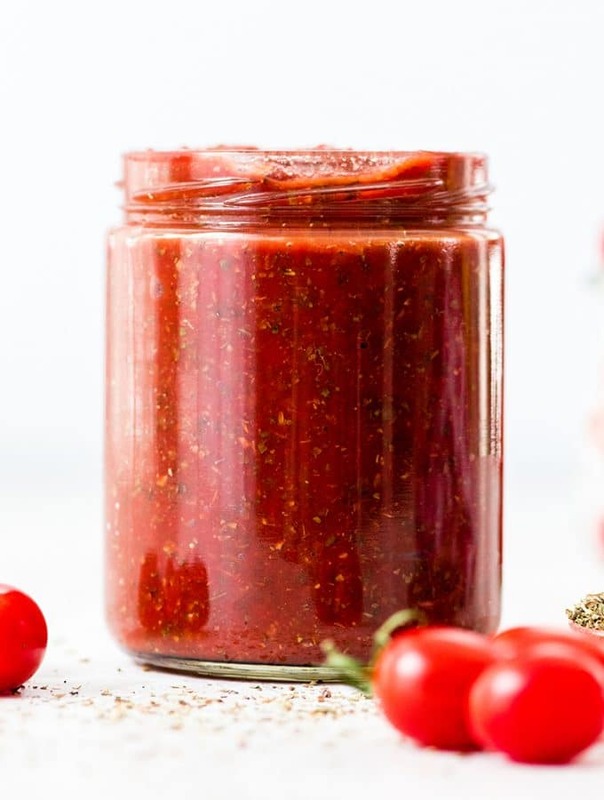 This is the best Easy Homemade Pizza Sauce Recipe ever! 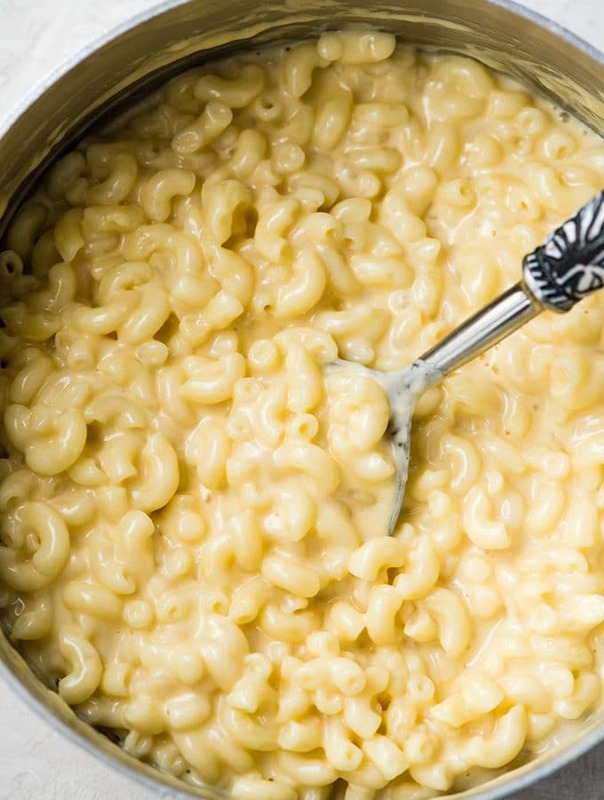 It’s ready in 5 minutes and made with only 9 ingredients! Plus this healthy pizza sauce recipe is gluten-free, paleo-friendly, dairy-free, & vegan! 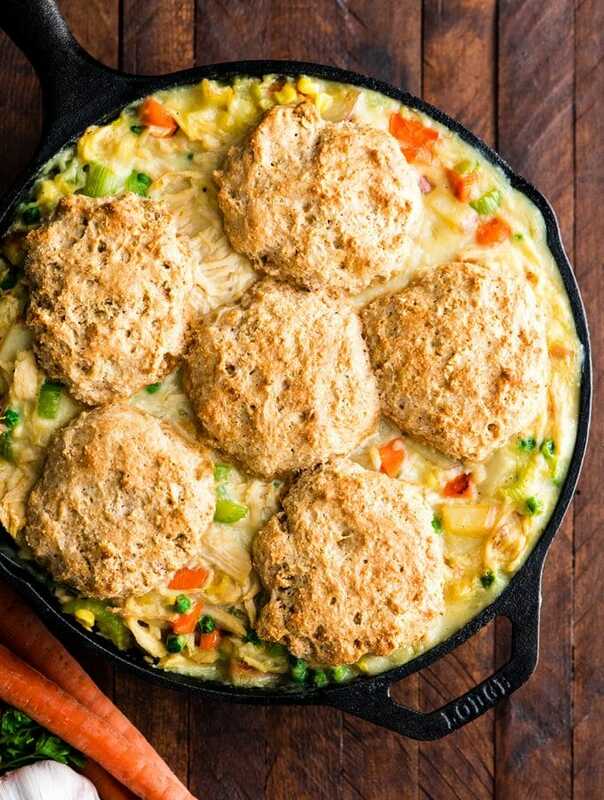 Healthy Chicken Pot Pie Recipe is made completely from scratch and has a delicious whole wheat biscuit crust. It is a perfect lightened up weeknight dinner recipe that is still cozy and comforting.